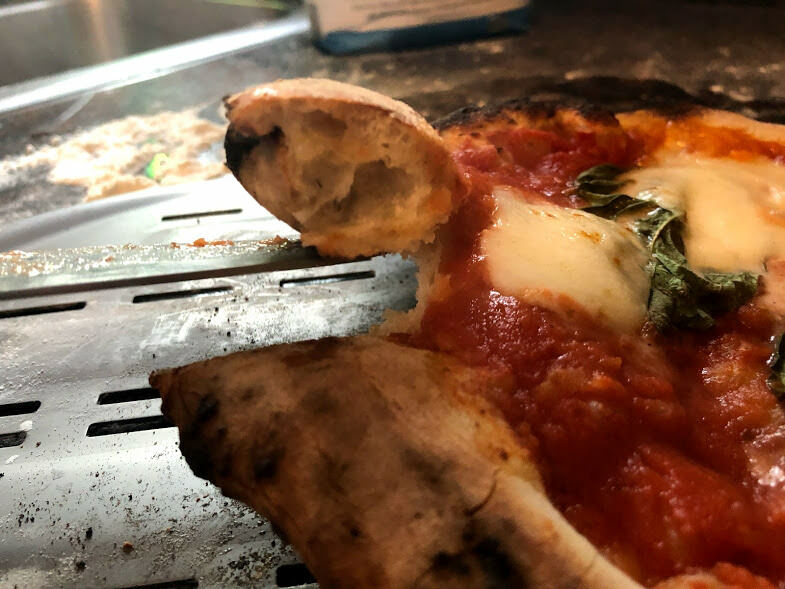 To cook good Neapolitan pizza, you need high heat (900F+). A conventional oven won’t provide that so you need a specialized oven. 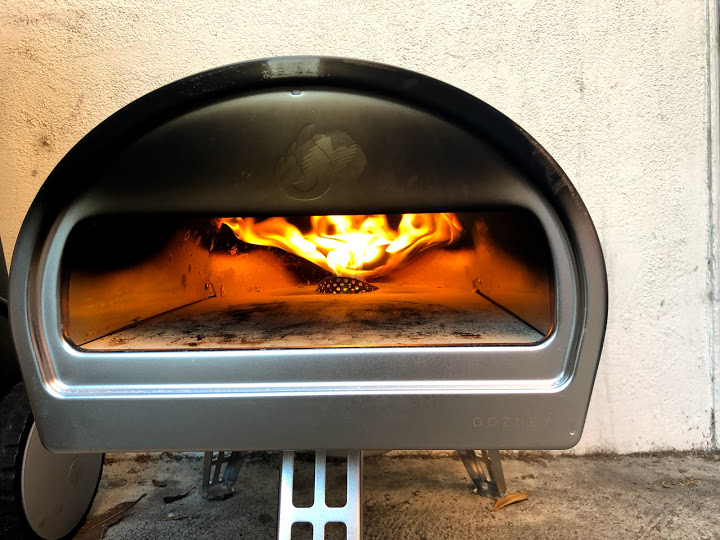 After some research, I came across Kenji’s fantastic piece comparing multiple pizza ovens and ended up buying a Roccbox. 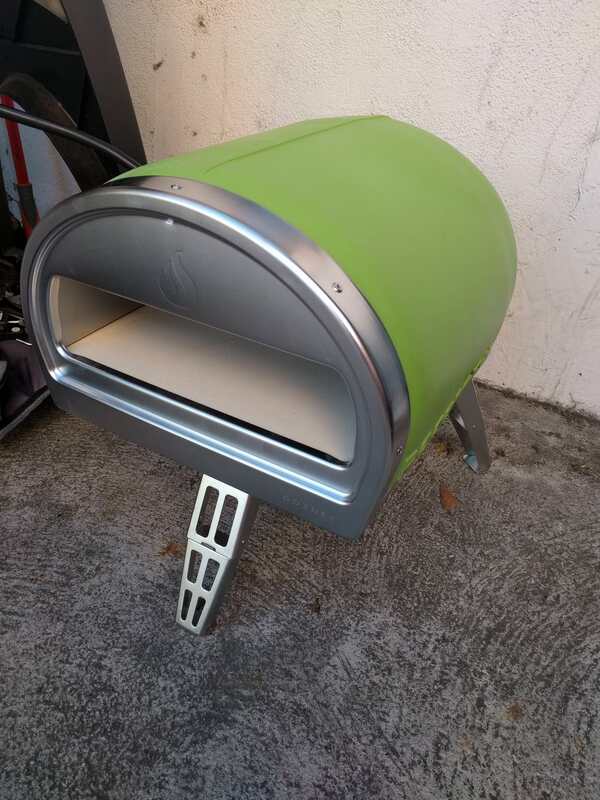 I bought the Roccbox online for $599. They ship out of Virginia so if you’re on the west coast like me, expect a shipping time of a week. After I had ordered it, I didn’t get a confirmation for a couple days and had to ask over email for a tracking number. My guess is they’re still figuring things out as a startup. It wasn’t a big deal, just something to be aware of. It’s heavy. Their claim on it being portable is a little bit of a stretch. “Semi portable” is probably more like it. Packaging, etc is on point. Setting it up is a breeze. There’s nothing really to do but stretch out the leg stands and connect the burner. I use the gas burner, not the wood. 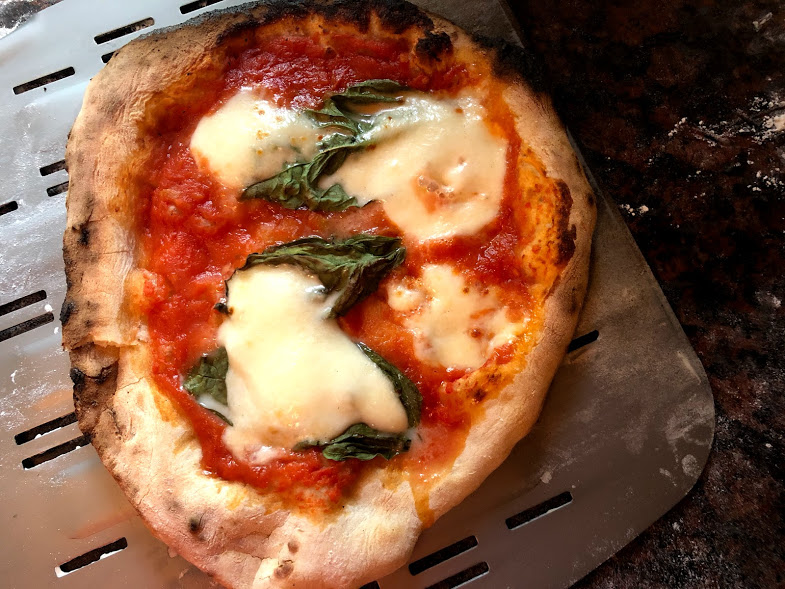 Turn the flame up all the way during preheat but then turn it down before putting in your pizza to prevent burnage. 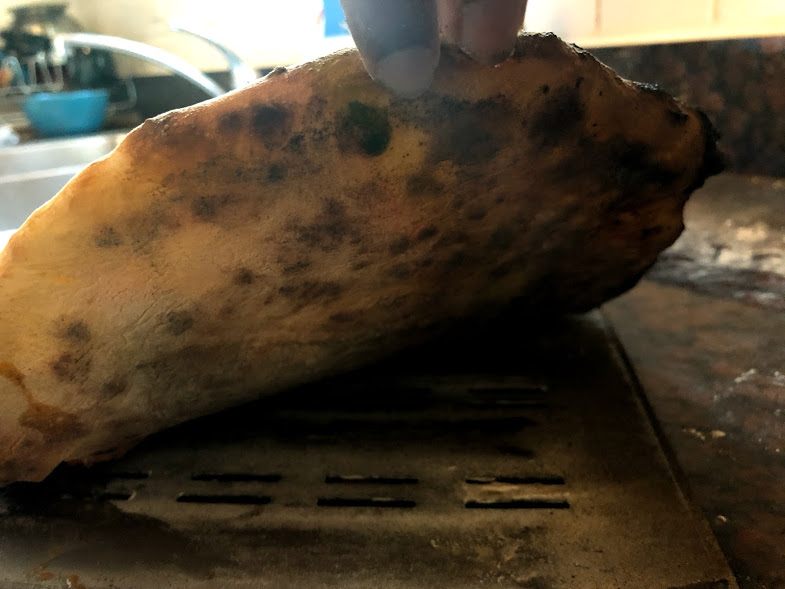 Initially, I exposed each fourth of the pizza to the flame once and then took it out. This resulted in excessive burning. Exposing each quadrant to the flame for a shorter duration multiple times (~2, maybe 3) seems like the way to go. It’s more of an even cook. Dust the peel with some flour so that the dough doesn’t stick to it when you try to slide it off into the oven.